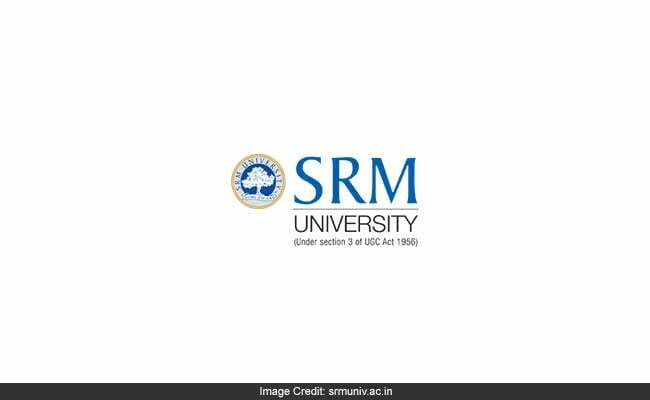 New Delhi: SRM University has released the result and scorecard of SRM Joint Entrance Examination (SRMJEEE) 2017 in the official website of the varsity. Admission to various engineering courses in SRM University will be done on the basis of SRMJEE 2017 Results. The results and score cards have been made available at the official website for the candidates who have appeared in the exam which was held from April 1 to April 30. After the release of SRMJEE 2017 Results, the university may conduct tests for lapsed / cancelled seats from May 1 to 30 June. SRM is accredited by NAAC with 'A' Grade in the year 2013. SRM University is one of the major private universities in India with over 38,000 students and more than 2600 faculty across all the campus, offering a wide range of undergraduate, postgraduate and doctoral programs in Engineering, Management, Medicine and Health sciences, and Science and Humanities. SRM University is placed in A category by MHRD, says the website of the university.